LeBron James is one of the most self-centered egomaniacal athletes on the planet. He really does believe he is God’s gift to the Earth. Unfortunately for him, most people don’t share that sentiment and largely just view him as a good basketball player who does good charitable work for his community. 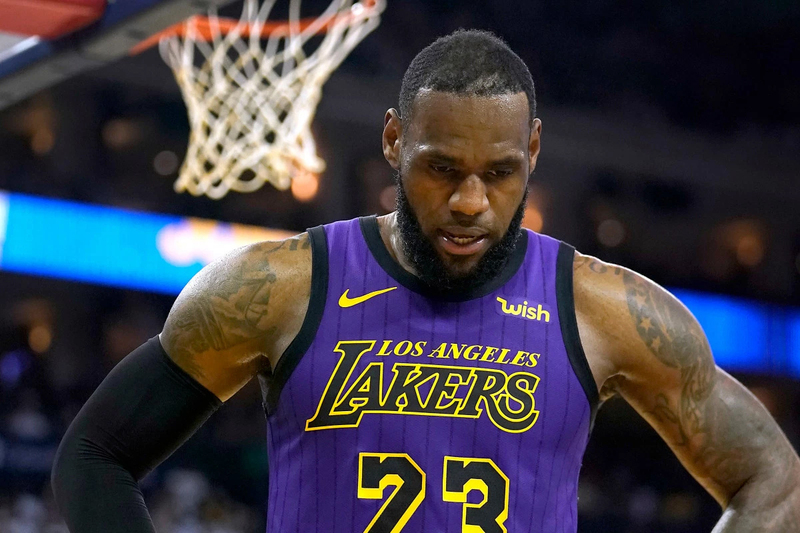 But while that’s all fine and dandy, LeBron James just got a rude awakening about how fans view his talents as an NBA GOAT. LeBron James was hailed as the biggest high school prospect since nobody. Really, no other player in NBA history can compare to the hype train of the superstar talent. Not Kobe Bryant. Not even Michael Jordan. James had an okay ride in his first stint with the Cleveland Cavaliers but once he landed in Miami, to play for the Heat, James made the NBA Finals – winning three championships along the way – over eight straight years. This year brought that streak to an end. The Los Angeles Lakers won’t make the playoffs and were a disaster the size of Mount Everest this year. Sports media will point to James’ groin injury as the reason for the reason why but that’s not true. They were terrible even when James returned from his injury. But a new poll by Business Insider asked fans who was the GOAT (Greatest of all time) and Michael Jordan straight up smoked him in the poll. The poll was done on March 10th with 1,082 respondents that asked who the GOAT was and Michael Jordan came in at a eye-popping 66% and although LeBron James finished second, it was only a measly 10.4%. Other notables; Larry Bird came in 3rd with 4%, then Wilt Chamberlain at 3.5%, Shaquille O’Neal at 2.7%, Kobe Bryant at 2.3%, and even Stephen Curry with 2%. Not surprising that the younger 18-29 generation would think he’s the best because many of them never got to see how great Michael Jordan was. Also, Millenials probably aren’t aware of how much the game has evolved. It was way more physical. There was no hand-checking rule. It was an inside out game first. This made it even harder for guards like Jordan to excel because the offensive designed favored centers and power forwards. Now you have what James is, essentially a “point forward.” It’s basically position-less basketball nowadays though, which favors players like James. So while the game today favors James, it didn’t at all favor Jordan. Oh, and Jordan never lost a championship when he got to the NBA Finals. James has lost five times. Looks like although LeBron James thinks he’s the greatest to ever play the game, but barely anybody else agrees with him.